Affiliate Links: If you click a link in this post I may make a small commission. Let’s be real – the top knot is not a new hairstyle. There are many iterations, even. From ballet to messy to hot cross (oh wait… that’s food) there are so many types of buns. My favorite? This top knot tutorial. It’s a little bit messy, but more importantly, super simple to create. For me, the top knot is a fall and winter staple, and it felt wrong to write about it in summer. Sounds strange, but since it never gets that hot here in Seattle, I prefer to wear my hair down. In the cooler months, however, I often stretch out how often I wash my hair. Having a wet head when it’s chilly is the absolute worst! 1. Grab your favorite dry shampoo. Mine is Batiste in the Original scent, but any will do. Proceed to douse your roots with it. If you already have dirty hair, you probably won’t need much. If you have freshly shampooed hair, use a bit more. It adds some texture so that your hair will stay put all day. Then, brush it from root to tip. 3. 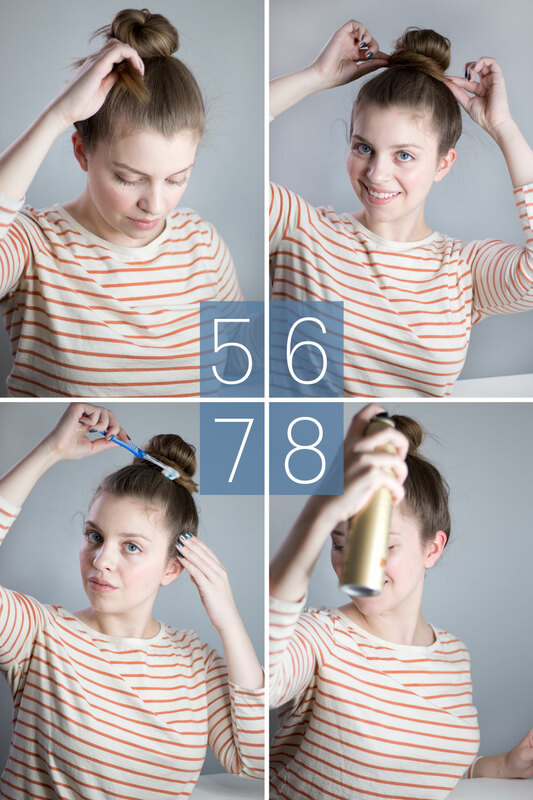 Grab your hair elastic, and then brush your hair smooth all around your hair and put it up in a high ponytail. Use the hair elastic to secure it tightly. 4. Once your hair is secured in a high pony, grab the end and twist from the tail, so the pony tightens a bit. Next, begin to wrap it around itself. 5. As you get to the end of your ponytail, you might notice little pieces of hair going a little crazy. That’s okay – it’s what our bobby pins are for! With one hand, hold your bun in place. With the other, grab a bobby pin and secure the end. 6. Use additional bobby pins to pin any stray hair sections that may be loose. Or let them free – it’s up to you! This can be as messy or as put together as you’d like. I usually like to leave a little hair loose, so it looks a little lived in. 7. If you battle baby hairs at the crown of your head like I do, give that old toothbrush a spray of hairspray. Then, run the toothbrush from the front of your hairline towards the bun, focusing on areas that have the most flyaways. 8. 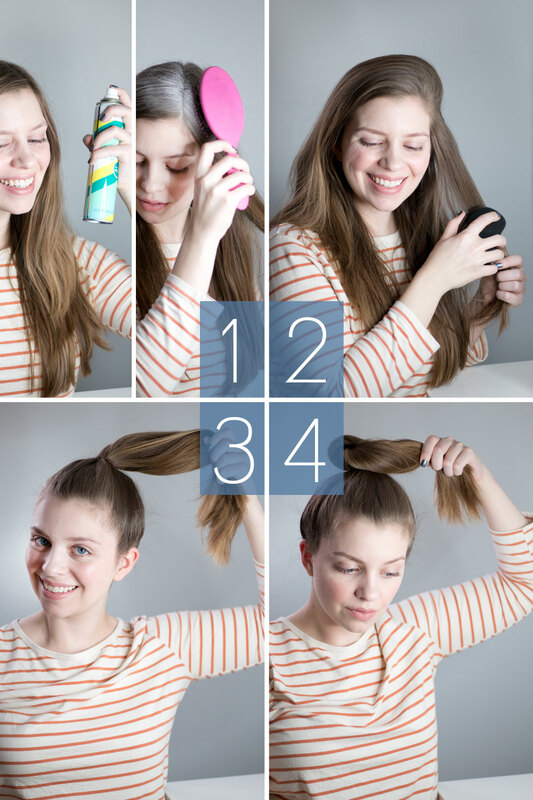 Finish with a light coating of hairspray to keep those hairs in place. 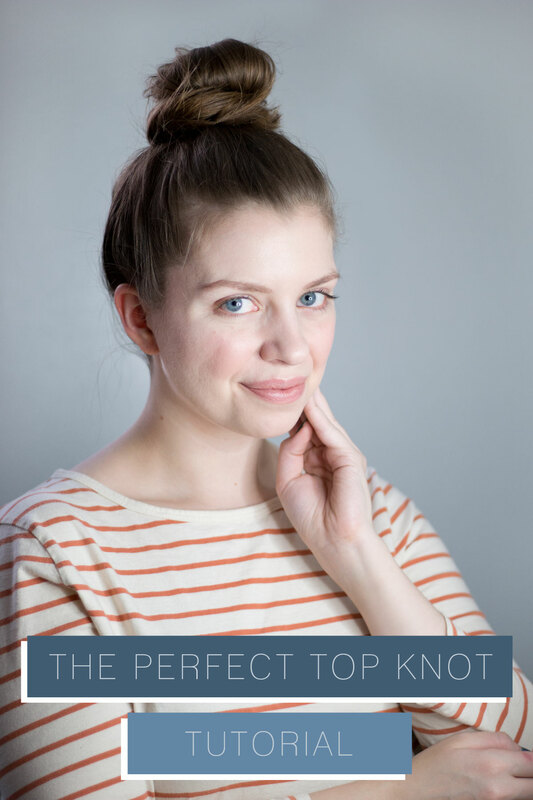 Now get out there and rock that top knot! Are you a fan of the top knot? How do you create yours? I’d love to hear how you like to style your hair in the colder months too in the comments! I basically use the same technique and it works miracles! No toothbrush trick though. I love that this way uses minimally bobby pins, if any! Definitely! There’s nothing worse than trying to dig a thousand bobby pins out of your hair at the end of the night, so I like that I can get away with just two! The only thing I love more than a good top knot is yoga pants. Ha, agreed! Yoga pants + top knots for life! You know what I use for my topknots? Spin pins! Lifechanging. They stay in all day! Oh that’s so smart! Will have to try that out!